Organic, earthy, and beautiful, this backsplash tile design features textured natural travertine in warm beige, caramel and brown tones. 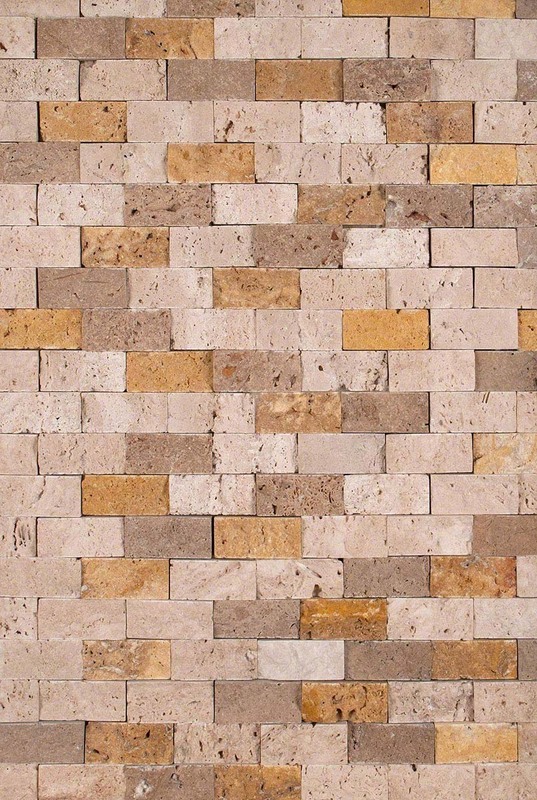 Our Mixed Travertine 1x2 Split-Face tiles are mesh-backed for easy installation as bathroom or kitchen backsplash tile. This design works well with traditional and contemporary designs where a natural stone wall is central to the design.